When New York Regional Vice President Anwar Ismael started his Enterprise Holdings career as anEnterprise Management Trainee in February 1997, he did it for all the wrong reasons. “I wanted to go back to school and get an MBA, and I thought working for Enterprise for a year or two would help me pad my resume with real-world experience,” Anwar admits. But with his natural leadership skills — he ran a deli while still in high school and served as the president of his fraternity in college — and competitive nature, Anwar saw immediate success andcareer potential with Enterprise. Anwar was one of the original Management Trainees selected to participate in LaGuardia Airport’s “best of the best” program [an airport rotation for a group’s top performing management trainees]. After only 11 months with the company, Anwar was managing his own branch. “At that point I realized Enterprise offered a ton of opportunity, and I knew I wanted to stick around to see how far I could go,” Anwar says. 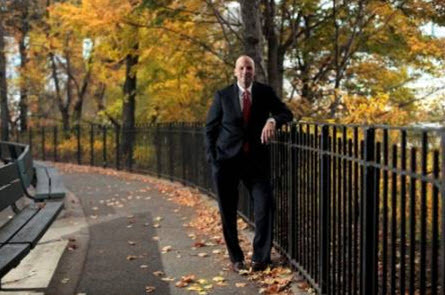 He served as the Branch Manager for three different branches in Manhattan over the course of the next three years before earning a promotion to Area Manager of Manhattan. But just a few months after his promotion, the Sept. 11 attacks happened. Fortunately, the people of New York eventually found strength in getting back to a routine, and business started to turn around shortly thereafter. Anwar moved on to manage a larger area in the Bronx. As Anwar continued to grow his career, he relocated to South Florida, where he served as an Area Manager, eventually earning a promotion to oversee the Fort Lauderdale airport. About a year after that, a Regional Rental Manager position opened up in New York City. Anwar and his family were ready to move back. As Regional Rental Manager, Anwar helped the region become one of the top performers in the country. When Anwar’s Regional Vice President earned a promotion out of New York, Anwar took over. Now 17 years after he started with the company for all the wrong reasons, Anwar has built a successful career.